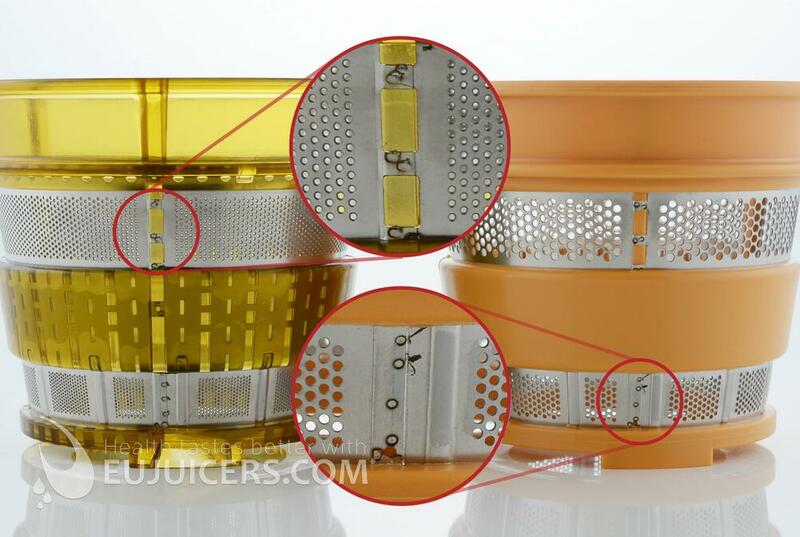 This juicer is made in China. It juices produce easily as long as everything is cut beforehand. 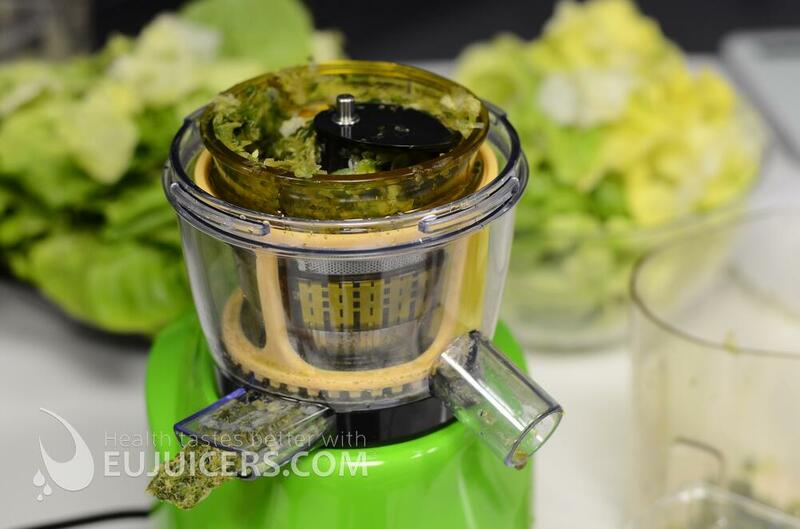 The pusher isn't needed, except for leafy greens. If you insert larger pieces of root vegetables, a safety lock may be activated to stop the motor (it´s standard). In this case you need to reverse the motor and then continue. Disassembly of this juicer is a little bit more difficult. 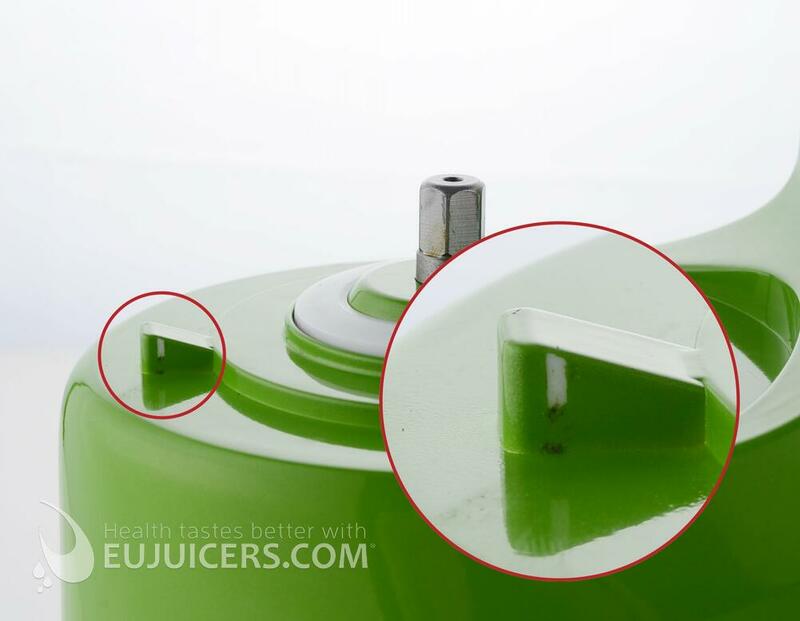 The juicing assembly is attached very firmly on the motor base, and it can be very difficult to remove. After repeated uses, this became a major annoyance. 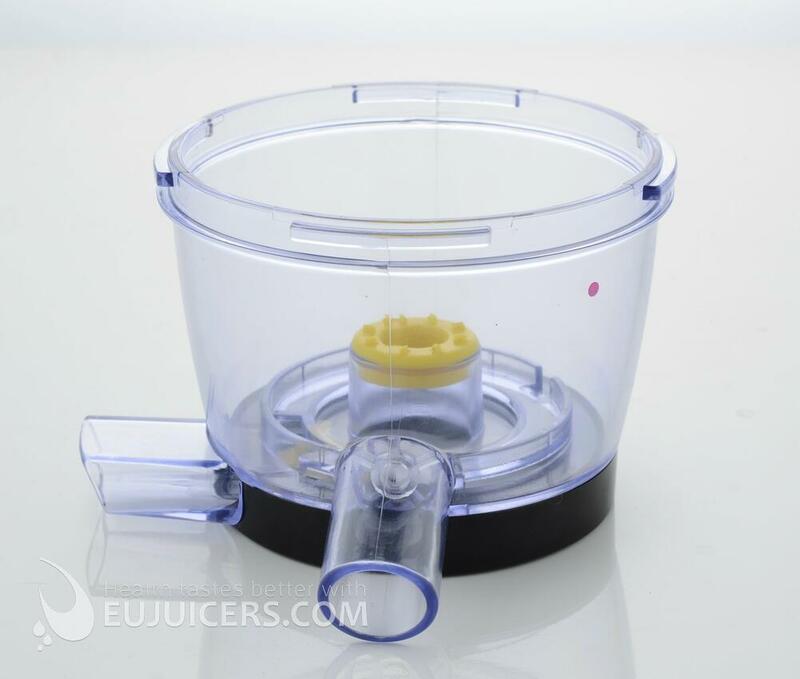 Its easiervto remove the juicing parts one-by-one (instead of removing the entire juicing assemble all at once), but this has the disadvantage of making mess on the counter from all the drips. 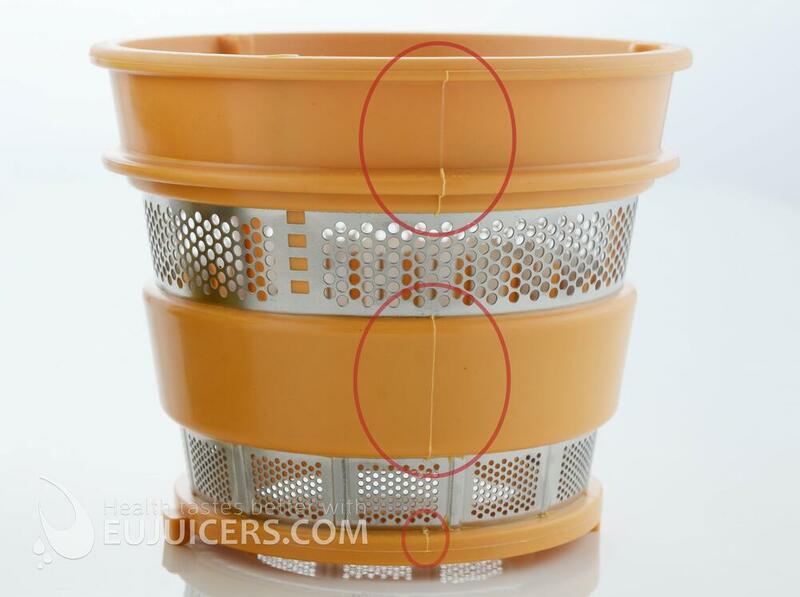 Cleaning of this juicer is relatively simple. 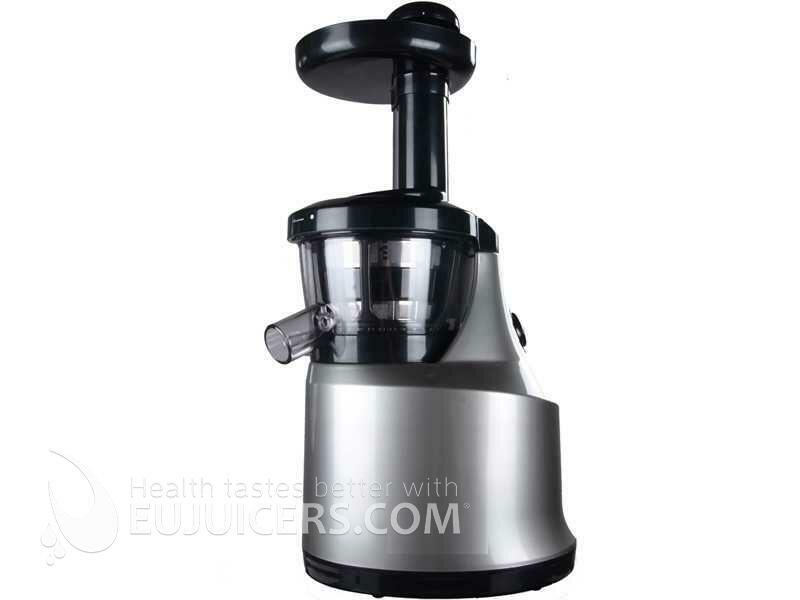 While this juicer is available at an attractive price, it's clear that this price is achieved due to the low quality materials used as well as the (very) limited warranty.